Training: The Arts Educational School, graduating in Summer 2014. Theatre whilst training includes Preacher in Bonnie and Clyde, Evita, Marcus Lycus in A Funny Thing Happened on the Way to the Forum, Anthony in Movin’ Out, The Pirate King in The Pirates of Penzance. Other credits include Kerry Ellis in Concert (London Palladium), u/s Prince in Snow White (Anvil Theatre, Basingstoke), The Laurence Olivier Awards 2013 (Theatre Royal, Drury Lane). 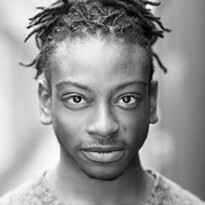 Most recently: Jose in In The Heights (Southwark Playhouse).